Debra has 17 years of experience as an owner/property manager with Hadelman Enterprises, managing 332 units in eight multi-family buildings in Oak Park, Illinois and was President of the Building Owner’s Management Association (BOMA) of Oak Park. She also has 13 years of experience as an Executive Recruiter, specializing in corporate finance for Chicago-based multi-national corporations. Growing up in the Lakeview area of Chicago, Debra became a life-long Bears, Cubs and Bulls fan. She and her husband raised their two sons in River Forest, but as soon as they became empty nesters, they moved back to the city, and currently reside in Lincoln Park. 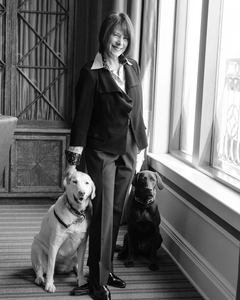 Debra is Chair of Canine Therapy Corps, a wonderful not-for-profit organization that provides interactive, animal assisted therapy (AAT) to various programs in the Chicago land area. The dogs, which are certified by Canine Therapy Corps, are incorporated into individuals’ psychosocial or physical therapy programs. 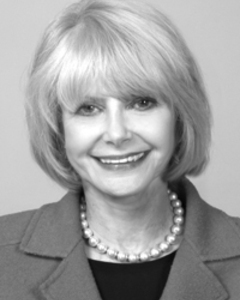 Charlotte Newberger brings over thirty-five years of experience in Chicago real estate to the CN group. In 1980, Charlotte was a founder and partner of Beliard Gordon and Partners, Chicago’s first all women's residential firm. After 20 years as the one of the preeminent luxury brokerages in Chicago, Charlotte and her partners sold the company. Charlotte then formed a partnership with Carol Ann Edwards-Nasser at the internationally acclaimed Rubloff Residential Properties. Charlotte enjoys a career that has brought her clients a keen business acumen and attention to every aspect of their investment. Consistently honored as a top producer, in 2005 Charlotte was presented with a Lifetime Achievement Award by the Chicago Association of Realtors. Charlotte is also a founding partner and creator of The Heartland Health and Fitness Spa. The Heartland was named among American’s Top 100 Day Spas (spAWARDS). Many national, civic, arts, not-for-profit and philanthropic boards have benefitted from Charlottes’ tireless energy. The National Foundation for Jewish Culture, Steppenwolf Theater (Chicago), and Writers in the Heartland are but a few of these. Current boards include Lincoln Park Village and Cure Violence, a national group aimed at helping teens from harming themselves or their peers. A resident of the Lakeview neighborhood in Chicago, Charlotte and her husband raised two daughters who attended Francis Parker. After many successful years behind some of the most notable real estate transactions in Chicago, Charlotte’s legacy continues as an advisor to the CN group and a partner emeritus. Named by Crain's one of Chicago's 2018 Most Respected Residential Real Estate Brokers, Carol Ann Edwards-Nasser excels at the luxury home market with a record of sales that places her in an elite tier of Chicago brokers. Carol Ann serves on the Professional Standards Board for the Chicago Association of Realtors, and has been a guest speaker at the prestigious Kellogg School of Business. She has served as Director of Sales for new developments in both Miami and Chicago”most recently for Lincoln Park 2550. A professional opera singer for 15 years, Carol Ann brings a diverse background and unique perspective to the upper bracket market. 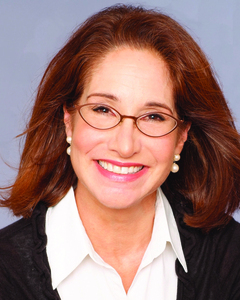 A rare combination of being multi-lingual (fluent in Italian, conversant in French and German), and the unique experience of living abroad and performing for opera companies and symphony orchestras world wide all combine to make Carol Ann excel at the luxury home market in Chicago's Gold Coast and Lincoln Park neighborhoods as well as the North Shore. Carol Ann serves on the Advisory Board of the Stetson University (DeLand, FL) School of Music and has been awarded the Patron of the Arts designation from Our Lady of Mount Carmel Academy (Chicago). Active in professional organizations, Carol Ann is accredited by the National Association of Realtors as a mediator in conflict resolution and holds an ABR (Accredited Buyer Representative). Professional affiliations include the Women's Council of Realtors, REBAC (Real Estate Buyers Action Council), and FIABCI (Federation of International Property Specialists. Carol Ann is also a member of The Women's Club of Evanston, The Musician's Club of Women, and The Arts Club of Chicago, Carol Ann is very active in her community. She is a graduate of The Governor's School of North Carolina, and holds a Bachelor of Music Degree in Vocal Performance from Stetson University, where she was a member of Alpha Xi Delta. Graduate degrees are from the prestigious Jacobs School of Music at Indiana University (Masters of Music). Delighting in the responsibility of having raised a child in the city, Carol Ann has first hand knowledge of the public and private school choices available. A 2016 graduate of Loyola Academy in Wilmette, IL, Carol Ann's son now attends Stetson University. A winner in the Metropolitan Opera Voice Competition, whether performing for 10,000 or negotiating for 1, Carol Ann has the skills, training and background necessary to be an effective advocate for her clients. 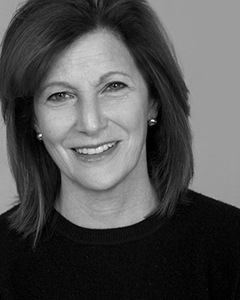 Marilyn Lissner brings over 25 years of real estate expertise to the CN group. 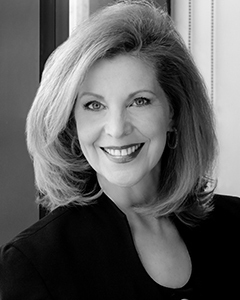 Recognized as one of top brokers in the luxury market of Chicago real estate, Marilyn began her career at Beliard Gordon and Partners and then Rubloff Residential Properties where she represented some of the most valued residences in the Gold Coast and Old Town neighborhoods. The breadth of her expertise ranges from co-operative residences and single-family homes to vacant land for development. Prior to real estate, Marilyn taught elementary school for 13 years in the Watts area of Los Angeles. Coming to Chicago, Marilyn raised her children in the Gold Coast. She was an active member of the parent community as they attended Frances Parker School. Marilyn’s tireless energy extends to her volunteerism with political campaigns and philanthropic organizations. One of her greatest accomplishments was working with the WITS program of the Chicago Public Schools (Working In The Schools) where she was a volunteer at Byrd Elementary School In the Cabrini Green Housing Project in Chicago. Most recently, Marilyn and her daughter raised over $10,000 in the Susan G Komen 60-mile Walk for Breast Cancer. A board member of Realtors to the Rescue, a non-profit animal rescue program of the Chicago Association of Realtors, Marilyn is active in animal rescue programs. As a former educator, Marilyn excels at guiding her clients so they can make informed decisions. Integrity, insight and perseverance are her hallmarks.